Carlos M. Grilo, PhD, is Professor of Psychiatry and Director of the Program for Obesity, Weight, and Eating Research at Yale University School of Medicine. He is also Professor of Psychology at Yale University. Dr. Grilo’s primary research focus is on eating disorders and obesity; secondary interests include personality disorders and psychopathology. He has received numerous research grants and has served as Principal Investigator on eight grants from the National Institutes of Health. Dr. Grilo serves on the editorial boards of the Journal of Consulting and Clinical Psychology, Behaviour Research and Therapy, Obesity, Obesity Surgery, International Journal of Eating Disorders, Journal of Psychiatric Practice, and International Journal of Clinical and Health Psychology. He has written over 260 peer-reviewed journal articles and one book, Eating and Weight Disorders. James E. Mitchell, MD, is the NRI/Lee A. Christofferson, MD, Professor and Chair of the Department of Clinical Neuroscience at the University of North Dakota School of Medicine and Health Sciences. He is also the Chester Fritz Distinguished University Professor and President and Scientific Director of the Neuropsychiatric Research Institute. Dr. Mitchell’s research focuses on eating disorders, obesity, and bariatric surgery. Past president of the Academy for Eating Disorders and the Eating Disorders Research Society, he has received honors including the Award for Research in the Field of Eating Disorders from the Academy for Eating Disorders and the Visionary Award from the Eating Disorders Research Society. He has served as Principal Investigator on 11 grants from the National Institutes of Health. 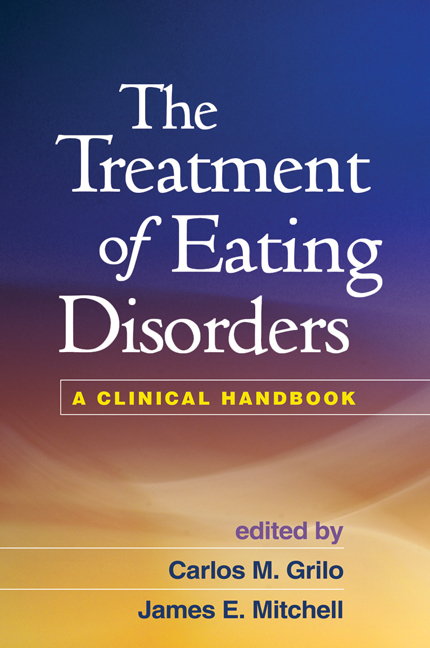 Dr. Mitchell is on the editorial boards of the International Journal of Eating Disorders, Eating Disorders Review, and Obesity Reviews. He has written over 350 scientific articles and is coauthor or editor of 14 books.